Can't run Wii games very well with my rig? I'm trying to run a game like Monster Hunter 3 using Dolphin with minimum graphics settings and at first, the game looked awful. Very pixelated so I tried to increase settings like AA which now has my game running at 3 FPS from the 30 FPS it started at. My rig should be able to run these games fairly descent shouldn't it? Which version of Dolphin should I download from that page? For performance, try stable 3.5. For all the latest fixes (including new HLE) try the latest revision 3.5-1757 as of this post. (08-13-2013, 07:16 AM)haddockd Wrote: For performance, try stable 3.5. For all the latest fixes (including new HLE) try the latest revision 3.5-1757 as of this post. I'm a bit of a noob at Dolphin so I'm not really sure what HLE is. AA was set to 8x and Anisotropic Filtering was 16x with Per-Pixel Lighting selected as well as Force Texture Filtering. Also, just enabling AA to 9x makes my game drop to 3 FPS. 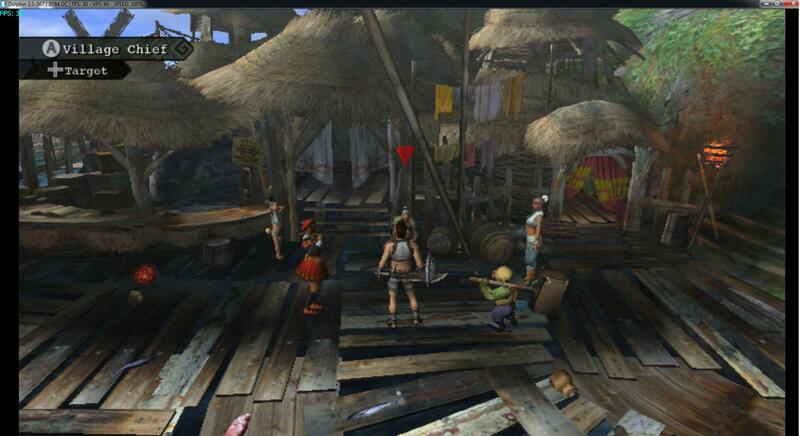 There's how MH3 looks on lowest. I put AA to 9x and it runs at 3 FPS. Why are you using 9x AA, but running it at 1x internal resolution ? That's not a very intelligent thing to do. AA isn't that important really, once you have an acceptable resolution. Besides, AA doesn't remove pixelation, it only removes jaggies. I'm unfamiliar with dolphin and didn't realize the poor quality was from the internal resolution until I set it to Auto - Window Size. I've noticed, though since changing the internal resolution is that I can't open the graphics tab in-game without the game freezing up to 3 FPS and never raising.